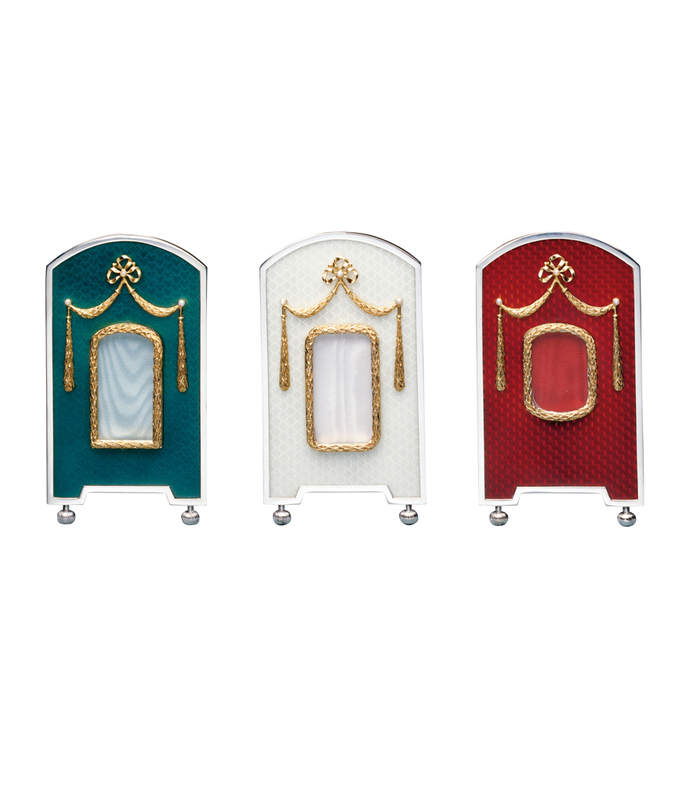 The collection of these picture frames is named after the 5 children of Tsar Nicholas II, the guilloché enamelled picture frames are lavishly decorated with sterling silver, 24 carat gold, pearls and faceted rubies. 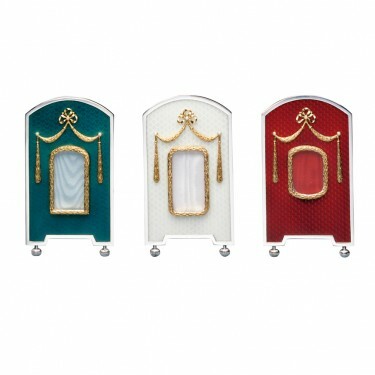 The surprise is that the frames open from the front to take a photograph. 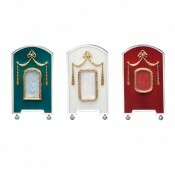 Olga (Turquoise) Maria (Ivory) Tatiana (Burgundy) The Alexis and Anastasia Picture Frames are listed separately. Materials: Sterling silver, enamel and pearl.